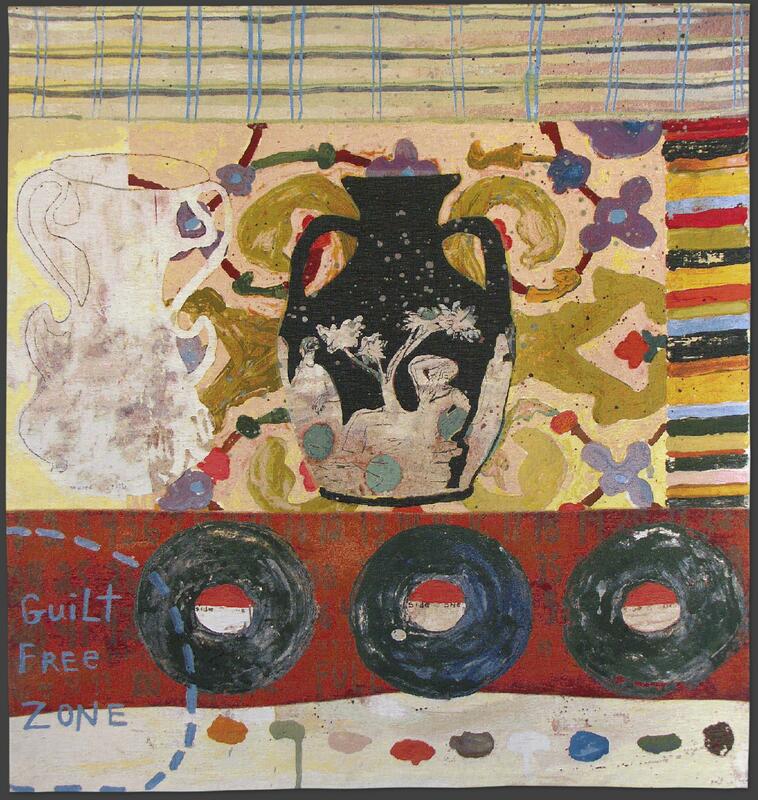 Squeak Carnwath combines the personal — lists of words, numbers, and observations — with the universal — images of elemental objects like bones and leaves — to create a window into the spiritual. “It is not the job of art to mirror,” says Carnwath: “An artist’s job is to reveal consciousness.” As Ramsey and James Breslin note in an essay on the artist, Carnwath’s work often involves a rejection of conventional figure-ground tensions in favor of “an all-encompassing light that defines objects by making them barely distinguishable from their grounds.” The tapestry medium proves a potent vehicle for delivering Carnwath’s revelations. As layers of paint are translated into layers of finely woven threads, figure and ground merge; the weave permeates and links every element, just as discrete thoughts and ideas merge into a greater fabric of consciousness.